Nearly 20,000 government staff will be deployed for counting of votes for the Rajasthan Assembly elections tomorrow. 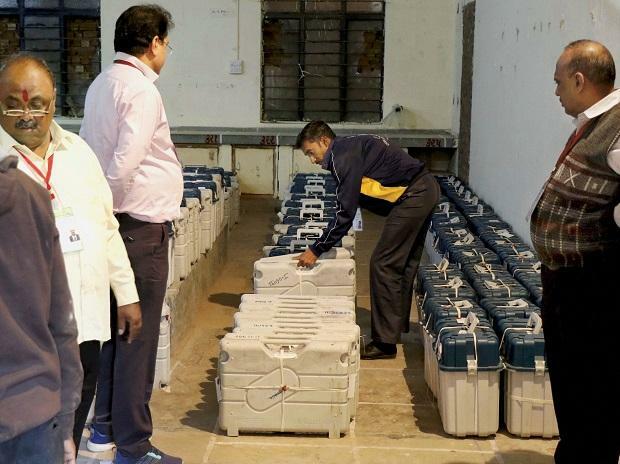 Counting will take place at 35 centres including two centres each in Jaipur and Jodhpur, Rajasthan Chief Election Officer Anand Kumar told reporters Monday. The Chief Election Office (CEO) has completed all preparations ahead of counting of votes on Tuesday for the polls, he said. Voting for 199 of the total 200 assembly seats in the state took place on December 7. Kumar said ample security arrangements have been made at the counting centres and nearby locations, with a three-layered security in place. He said the counting process will start with postal ballots and then EVMs. Voting trends and result will be telecast at public places for the first time in the state through 350 LED screens, he added. In 2013 assembly election, BJP had won 163 seats, Congress 21, BSP 3, NPP 4 and independents and others 9 seats. After bypolls in the state, BJP presently holds 160 seats, Congress 25, BSP 2 and NPP 3 seats.